RMX Co of Huntington Beach will introduce a new product at the up-coming INTERNATIONAL MOTORCYCLE SHOW at Long Beach Convention Center. The item is a newly patented, force multiplying tie-down designated the F3 X- Tie-Down. 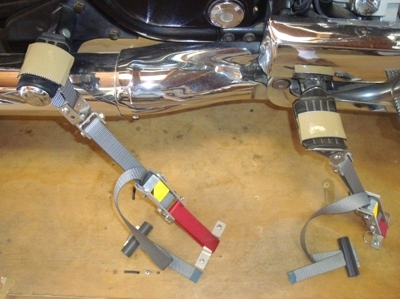 Motorcyclists have learned that the standard web-clamp tie-downs, while very convenient to use, do not develop the level of preload force normally desired for transport of heavy motorcycles on the Interstates or light weight bikes over rough roads. 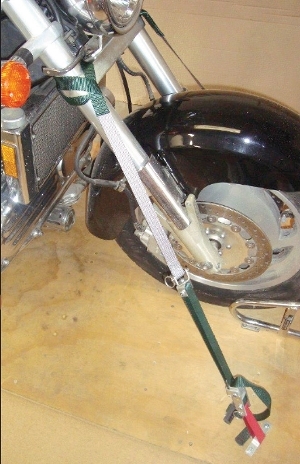 The new F3X Web-Clamp Tie-Down from RMX offers required preload strengths with the convenience and safety of the standard cam-buckle tie-downs. The RMX display will provide hands-on demonstrations of the product. The F3X will only be available at the show. Commercial distribution is targeted for 2nd half of 2016. This is a product designed, developed and manufactured in the USA.